As Narcosis started I already felt panicking. I remember the first time I was scuba diving (in some filthy Finnish lake) and I couldn’t see anything. When I finally looked up it struck me how deep I was underwater and how long way it was to the surface and the feeling of how much water is on me. I realized that if this gear fails I’m gonna drown. It was maybe the first time in my life I had to fight against panic; I have done bungee jump and sky diving but they weren’t nothing compare to this. Narcosis reminded me of that underwater trip and with headphones on the feeling was even more immerse. 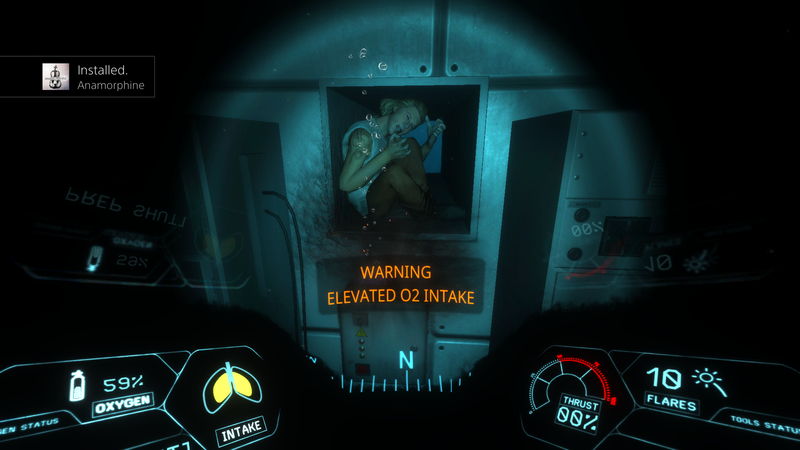 Narcosis starts with player being underwater and in deep bottom of the sea. You need to find your way to the underwater base. When you finally got there you witness how the whole place is taken over by water. So your mission is to get to the emergency pod and get the hell out of there. You also find that all your team mates are drowned and you are the last survivor. The story is also told by narrative (you talking with an interviewer) and the story deepens and opens up what happened to you underwater. I like how the story is told and the detailed explanations how he felt when he was at certain place. 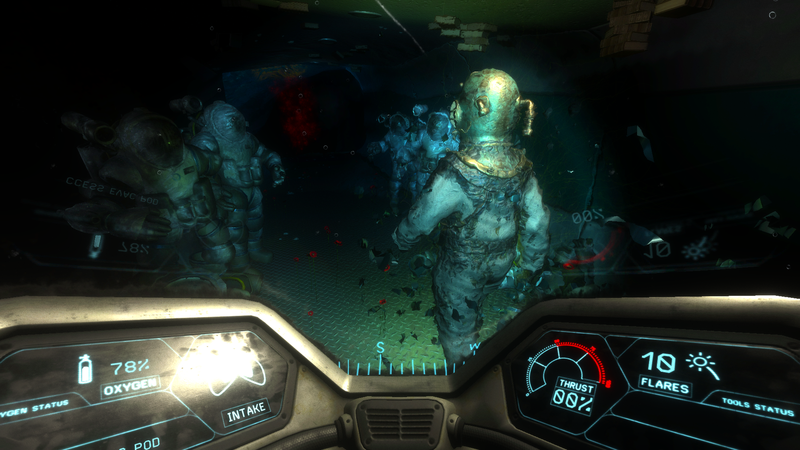 In Narcosis the gameplay is slow and for good reason. You are underwater inside a heavy gear (suit) and moving is maybe as difficult as it would be for astronauts in space. Also when moving slowly it builds up the feeling of helplessness and it truly felt just like it was when I was scuba diving; if this gear breaks I’m good as dead. What player needs to do is trying to make things work in the base, even when it’s taken over by water, open doors, collect keycards… but what happens when you are alone there and feeling of death is constantly knocking your door? You start to freak out, see things, hear things, having horrific hallucinations. Many times when something weird happened it was kinda freaky and made me jump on my couch. Controls were simple; move, look, use knife, collect objects, fill O2, shoot flare, interact and use thrust to go waster for short amount of time. Thrust is also used to go over pits and cracks. Controls work well and even it was little bit frustrating how slow everything was but I think it was truly intentional. It adds up realness of the situation and your vunerability. You are not in your element so deal with it. Narcosis has OK graphics and I think it’s more about story, horror, psychology, survival… not how beautiful or detailed the graphics can be. Even so, there wasn’t any bugs or glitches or lackings. 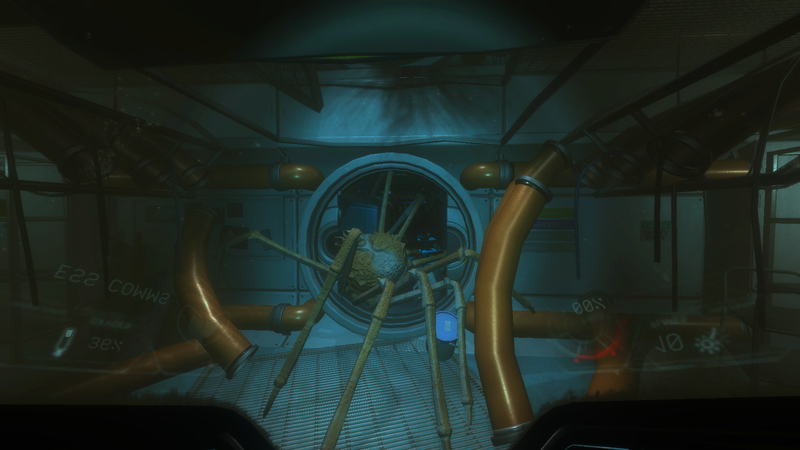 I love the sound effects Narcosis have. It’s very chilling and kinda unnatural to hear all those kinds of weird underwater noises. When you barely can see anything you can only guess what’s the source of the sound is… or is it near or far. I found the most difficult to go from base to base; I had to walk in bottoms of the dark sea and find my way there. The way didn’t seem to be linear so I many times wandered around and died when some enormnous king crab attacked me, or my air run out. I had ten flares with me and I had to use them wisely to find my way around. Couple puzzles here and there and they weren’t that hard to crack but fighting with the sea animals was pain. Since you are underwater all movement is slow and trying to hit an animal with a knife was difficult at times. The items you can use/collect glowed so it made gameplay more easy and from far away I could see where the next air tank was. 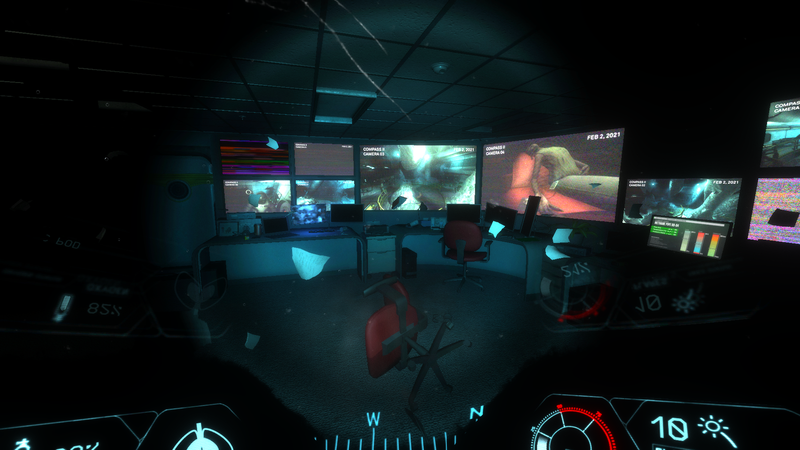 Narcosis is full of psychological horror and supsense. I admire that the game wasn’t overly long, maybe 3 hours, and it was great length for this type of game. Even an hour longer would have destroyed the whole package. When the gameplay is slow and kinda simple, it’s good to not make it too long. I didn’t find enough info online but I think this is the first game from the developer Honor Code and I think it’s very good start. If this was PSVR I would love to try it. 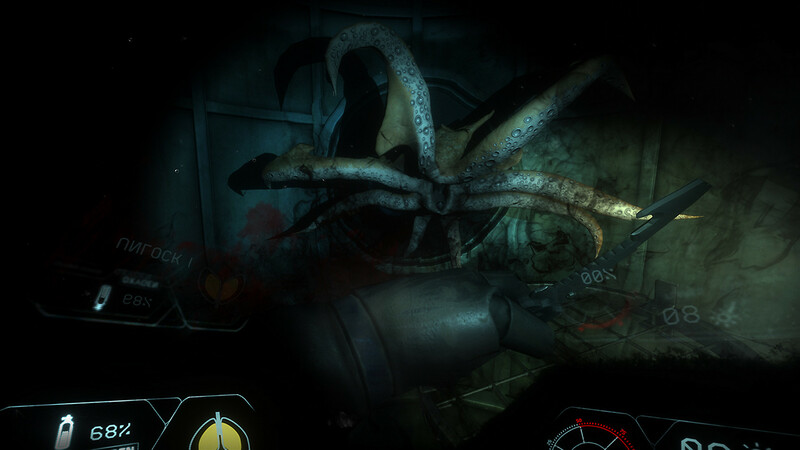 It seems Narcosis is for Oculus and hopefully it comes to PSVR at some point.